Cerita utama Skyrim yang berkisar tentang petualangan karakter utama untuk mengalahkan Alduin , seorang Naga yang berencana untuk menghancurkan dunia . Bersetting dua ratus tahun setelah Oblivion , permainan berlangsung di negara fiksi bernama Skyrim . Selama permainan , pemain menyelesaikan berbagai quest dan mengembangkan karakter dengan meningkatkan skill mereka . 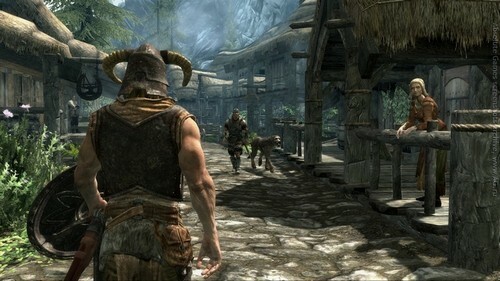 Tidak seperti game Elder Scrolls sebelumnya , Skyrim tidak memerlukan pemain untuk memilih kelas karakter di awal permainan . Skill bisa dipilih tanpa harus masuk ke dalam kelas tertentu , menciptakan gameplay yang jauh lebih bebas dan fleksibel . Skyrim juga menyajikan open world yang sangat besar , memungkinkan pemain untuk melakukan perjalanan di manapun di dunia game kapan saja tanpa harus terikat dengan misi utama . The next chapter in the Elder Scrolls saga arrives from the Bethesda Game Studios . Skyrim reimagines the open world fantasy epic , bringing to life a complete virtual world open for you to explore any way you choose . Play any type of character you can imagine , and do whatever you want; the legendary freedom of choice , storytelling , and adventure of The Elder Scrolls is realized like never before . Skyrim 's new game engine brings to life a complete virtual world with rolling clouds , rugged mountains , bustling cities , lush fields , and ancient dungeons . Choose from hundreds of weapons , spells, and abilities . The new character system allows you to play any way you want and define yourself through your actions . Battle ancient dragons like you've never seen . As Dragonborn , learn their secrets and harness their power for yourself. Epic Fantasy Reborn . 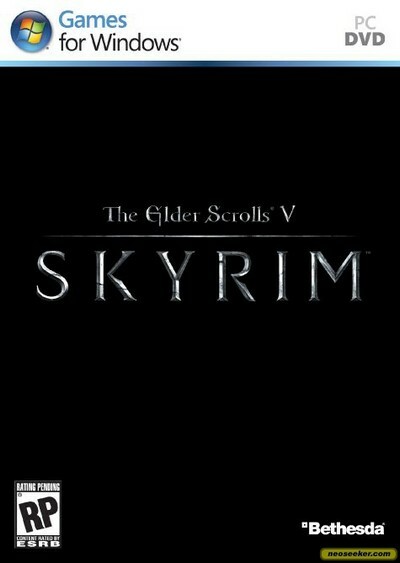 Skyrim reimagines the open world fantasy epic , pushing the gameplay and technology of a virtual world to new heights . Live another life , in another world . Play any type of character you can imagine , and do whatever you want ; the legendary freedom of choice , storytelling , and adventure of The Elder Scrolls is realized like never before . All new graphics and gameplay engine . Skyrim 's new game engine brings to life a complete virtual world with rolling clouds , rugged mountains , bustling cities , lush fields , and ancient dungeons . You are what you play . Choose from hundreds of weapons , spells , and abilities . The new character system allows you to play any way you want and define yourself through your actions . Dragons return . Battle ancient dragons like you 've never seen . As Dragonborn , learn their secrets and harness their power for yourself . 7 Responses to "The Elder Scrolls V: Skyrim Lengkap dengan Dragonborn Addon DLC"
ada serial key nya ga ?